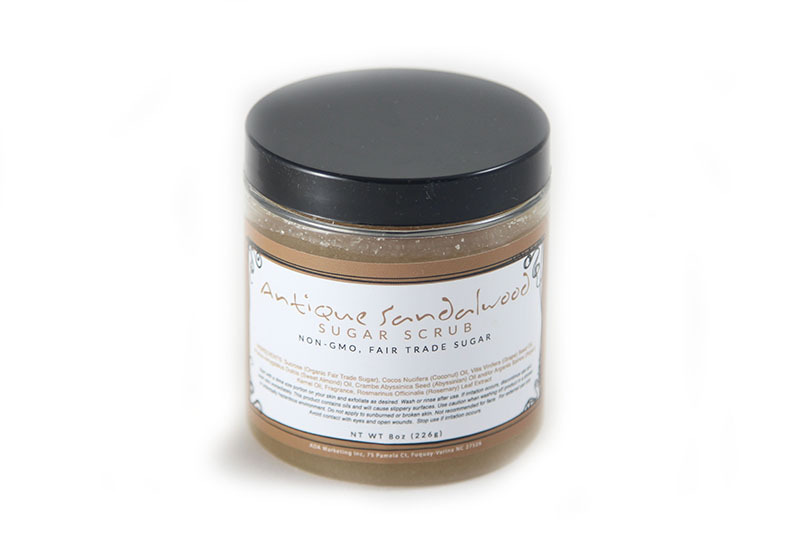 Sugar scrubs are made with a premium blend of oils and fair trade organic sugar and Antique Sandalwood Fragrance. Packaged in PET jar and sealed with induction seal and labeled with high quality plastic label. NOTE: small notation of manufacturer listed at bottom of label per cosmetic label requirements.